East Cliff beach is one of the two primary Bournemouth beaches and occupies the beach strand from just east of Bournemouth Pier up to Boscombe pier. It is about 1.5 miles in length. It is without doubt one of the cleanest and best cared for beaches in the country. An unusual sight of an empty East Cliff Beach on a summers day - immediately after a rain storm! The beach (unsurprisingly) lies at the base of Bournemouth East Cliff. Above the beach, at the top of the cliff are a row of good quality hotels, mainly catering for family holidays. The beach itself is almost solely comprised of fine cream coloured sand and is about 60 meters wide. Directly at the back of the beach is the promenade and access road called the Undercliff Drive. Bournemouth council has a row of beach huts along Undercliff Drive that can be hired on a daily basis ( no overnight sleeping allowed). 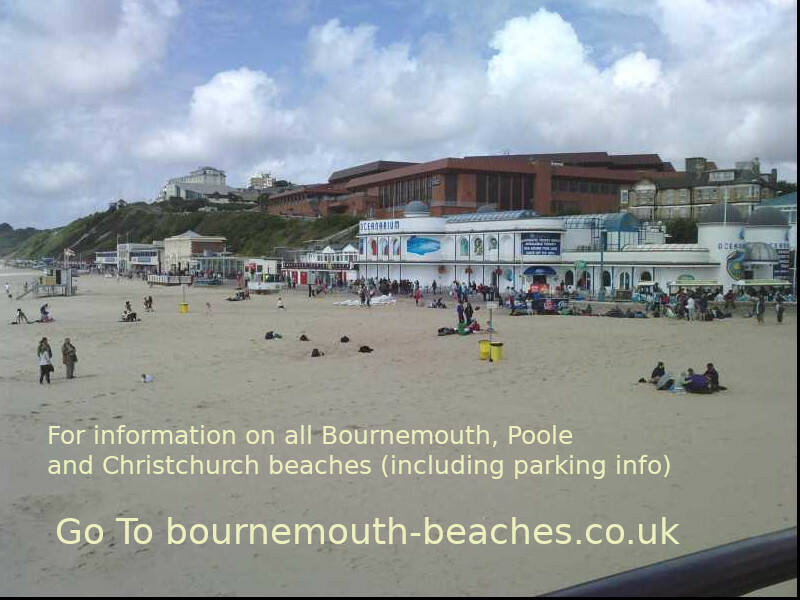 Beach access is mainly from either from the Bournemouth Pier end or via the East Cliff Zig Zag. There is also a rather scenic cliff lift that runs from 09:15am through to 17:30 in the summer. The beach is heavily patrolled by lifeguards and has a zone and wrist band scheme for children, known as KidZone which helps to significantly reduce the risk of children getting lost on the crowded beach. Many facilities exist on East Cliff beach, there are plenty of toilets, ice cream sellers and fast food outlets. There is also a Harry Ramsdens and a pub. You can also hire deck chairs and wind breaks. Because it is such a nice beach and because it is so easy to get to, East Cliff beach is probably the most popular beach in Bournemouth. On a nice day in summer it will get crowded, but that is the price you pay for all the facilities and the attention paid to the beach by the council.